DIVORCE ATTORNEY, KAROLINA DEHNHARD, ESQ. When Karolina Dehnhard, Esq. 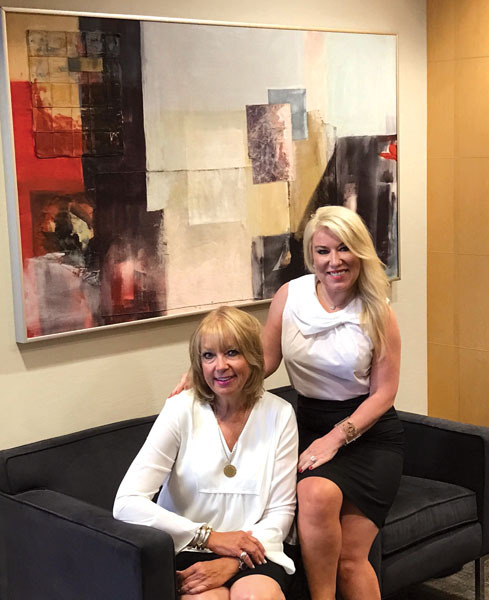 divorce attorney at the Law Firm of Budd Larner and Susan Ascher, executive and life coach and CEO of The Ascher Group, an award winning national consulting firm, walk into the room, you immediately feel their energy, executive presence and authenticity. Master networkers, Karolina, renowned matrimonial attorney and Susan, a reinvention guru, both have helped their clients transition through divorce and career change to find their joy and passion in life and work. Karolina and Susan met when they happened to be on the same trip to the Cork region of Ireland as leading Women Entrepreneurs with a mission to identify three outstanding entrepreneurial women out of 100, Shark Tank style. And the rest is history. Friends, allies and business colleagues, Karolina Dehnhard, Esq. and Susan have forged a partnership to help women through this tough time in their lives. Karolina helps women navigate the difficult time of divorce, protect their assets, and deal with the difficult, emotionally charged issues they encounter during this stressful time. Along with Karolina, Susan helps and empowers women on their journey of reinvention after divorce, widowhood or job loss. Karolina Dehnhard, Esq., Divorce Attoney with Short Hills Based law firm, Budd Larner and Founder of Divorce Dynasty.